Zion National Park is Utah’s most popular park welcoming more than 2 million visitors a year. And with good reason. 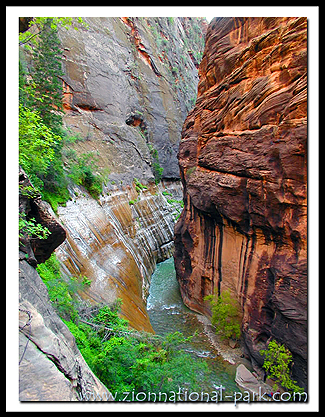 The park is filled with beautiful canyons and colorful rock formations, and has trails for people of all abilities. There also is an historic lodge within its boundaries. Many visitors bring their pets with them on their vacations. However, Zion, like many national parks, is not pet friendly. Pets are not allowed on Zion’s trails or are they to be left unattended in campgrounds, as summers in Zion are brutal with temperatures easily exceeding 100 degrees. Those temps mean pets cannot be left alone in cars–even for a few minutes–while their owners enjoy Zion’s beauty. And that is where the Doggy Dude Ranch comes into the picture. Located just 3.7 miles outside of Zion, on Highway 9 between Rockville and Springdale, the ranch fills a niche for travelers who want to see Zion but need someone to care for their animals while they do it. Filomena Diaz-Johnson (pictured at left) has owned and operated the Doggy Dude Ranch since 1990 when she spotted a need for animal careand filled it. 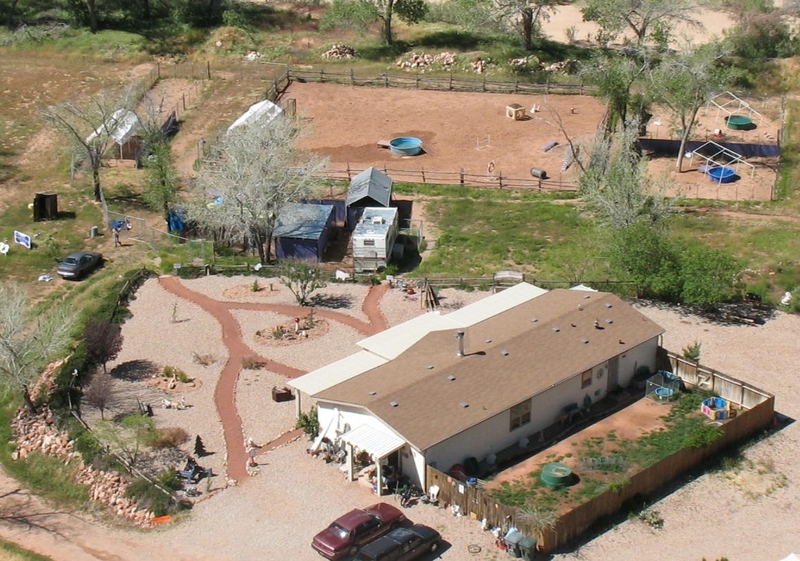 Since that time, Filly as she is called and the Doggy Dude Ranch have boarded dogs, cats, horses and has even a camel on its 10-acres of land along side the Virgin River. The ranch has a large–and largely shaded–outdoor kennel and an inside air-conditioned facility for animals that may not like the heat. There is also a large play area (with pools) and animals are given a chance to play and to socialize with others (if they are play well with others, that is). A staff member is always on site day or night. Owners can have their pets bathed if they so choose. 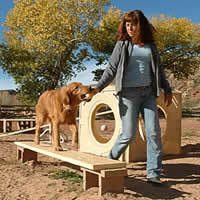 Filly even offers pet training for those who have problem pets or want to prevent problems. In the interest of full disclosure, I must state that Filly is my sister-in-law and married to my brother Stephen pictured with her in the photo at right. That said, I find her a remarkable woman and one in tune with animals, especially dogs. One could call her a dog whisperer, although it’s not a term she herself uses. She just loves animals and even boards rescue dogs and works to find them homes. Filly has turned her passion for animals into a thriving business and all because she was able to recognize a need and fill it. It’s a recipe for success and I am happy for her and proud of her. We all should be so lucky.